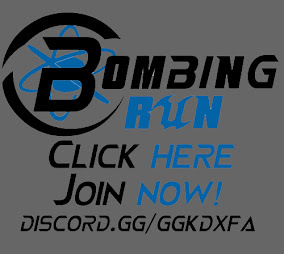 BombingRun is a gametype of Epic Games since Unreal Tournament 2003. Of all the gametypes in the Unreal Universe, this is the most team oriented. In short BombingRun is like football with weapons and some unique passing mechanics. One match takes 20 minutes. Red Team and Blue Team playing against each other. Each team has a goal and in the middle of the map spawns the ball. The winning team in the end with the most scored goalpoints, wins the match. Jumping trough the goal with ball in hand gives 7 points. Throwing the ball in the goal gives 3 points. If there is a draw at the end of the time, the game gets extended for 2 minutes. After 2 minutes, there is a new check for a winner. If there is no winner, new Overtime. Balllauncher: On touching the ball, the player gets ammo for the balllauncher. On left click you can throw the ball, on right click you can set the ballauncher to pass-mode. If you have locked a teammate with pass-mode, you can pass on left-click then. Passes on close distance depends on your timing to pass. Passing on long distance depends on the teammates timing. Translocator: The gamemode comes with a teleporting weapon. You have 5 ammo, which is recharging every 2 seconds. If you throw the ball, you recieve a penalty and it gets set to 0 ammo. As soon as another player is touching the ball, you get ammo back. It is possible to kill the enemy with translocator, if you teleport on them. You can see it like a close range sword art. Some players play only translocator and ball. They don't kill much, but make many goals then. Throwing: You can throw the ball in front of you, though you recieve a teleport penalty. This mechanic is implemented since Unreal Tournament 2004, to force the player for more passing. The "Throw penalty" will set your translocator ammo to 0. This means you can't just throw the ball and teleport after. You need to pass or throw and wait/shoot. Passing: If you have the ball and you put the crosshair on a teammate, you can target your teammate with right-click mouse. In this locked-state you can left-click mouse and pass the ball, which will find it's way to the teammate. Since the teammate can teleport, he can navigate the ball arround corners. This allows to pass arround a corner. It is even possible to pass arround 2 or 3 corners, if you teleport at the right moment. As soon as the ball hits the wall or is hit by a shock combo of the enemy team, the pass stops. Enemy could also try to catch the pass and intercept it or they just kill the passed person. DoubleJump: Since the very start, bombing run had double jump. You can do your second jump after a teleport. This allows you to stand in air for 1 second and navigate the ball on heights or above enemy bodies. Dodge-jumping is the foundation for quick movement. The more you play, the better you get. If the player does a dodge and an additional jump right after that, he perfoms a dodgejump. If the player hits a wall and does a dodge in the opposite direction, he perfoms a walljump. Walljumps are infinite since Unreal Tournament 4, which brings a new aspect. The gamemode comes with adrenaline pills you can collect. On 100, you can use Speed to run arround quickly. More skills will come. If you make a goal, you recieve 25 pills. If you kill a player, you recieve 1 pill. If you kill the ballcarrier, you recieve 2 pills. On use of "Feign Death" the player can suicide. This is common way to defend your base, specially if the enemy is using speed. Using quickly suicide can stop a goal. If the ballrunner dies, the ball stays on ground. If the ballrunner dies outside the map, the ball gets reset to the middle of the map. If no player touches the ball for 20 seconds, the ball gets reset. If you throw the ball outside of the arena, it gets reset. If a player scores a goal, the ball gets reset after 15 seconds.